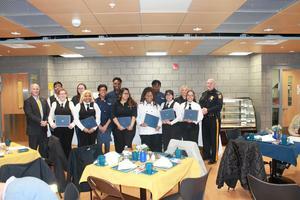 The Seaford High School Culinary Department hosted the Sussex County Police Chiefs for their annual Christmas Party and meeting. The students did everything including planning the menu, ordering the food, preparing the meal, serving and cleaning up afterwards. March 20, 2019 | 5:30 - 7:30 p.m.
Our 1st year cadet drill team competed in a Marine Corp Drill Meet at Snow Hill High School, Snow Hill MD. There were 9 schools competing for 1st through 3rd place in various events. Taking 2nd place in Armed Color Guard and 2nd place in Personnel Inspection is an amazing accomplishment considering this was a Marine drill meet. So for a Navy school to pull some trophies makes us extremely proud of our cadets. Also the 1st marking period award were held on December 19, 2018. Many cadets revived medals and pins which they had earned. Nayelle Reyes-Benitez and Taylor Allen both auditioned for and made the All State Choir!! We are very proud of them and know the will represent the SHS Nest with a purpose! 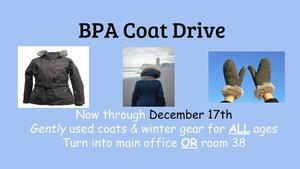 The Seaford High School chapter of Business Professionals of America is currently hosting a Coat Drive through December 17th. We are in need of new or gently used coats and other cold weather gear that will be donated to local shelters. This is a great time to clean out the closets and help our community stay warm this winter. 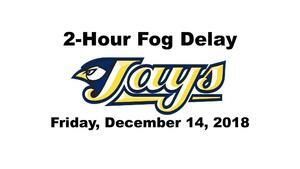 Should you have any questions you can contact Rob Schumacher at robert.schumacher@seaford.k12.de.us Coats can be dropped at the High School Main Office between 8 and 3 p.m. The SHS NJROTC Marksmanship Team competed both regionally and nationally against other ROTC programs. We had 3 cadets finish in the top 15 of the region. Terry Deshields was 8th out of 181, Karlee Davidson was 9th out of 181 and Spencer Burdette was 14th out of 181. The national competition included 2,573 cadets and Terry Deshields finished 249th and Karlee Davidson finished 365th. The SHS NJROTC Team finsihed 3rd out of 16 teams regionally and 85th out of 280 teams nationally. Come out and celebrate the cultural diversity of the Seaford School District. Many organizations will be here to inform you of what they offer. We will also have several performances from students and others from different cultures. There will be a toy give away for children ages 3-10. 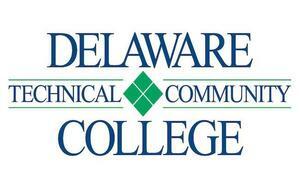 The last week of October and beginning of November is College Application Week in Delaware. Our guidance counselors, Mrs. Fake and Mr. Lowe do an excellent job of working with our seniors as the apply to college. This year over 300 applications were submitted by the Class of 2019! !